No matter how thorough your business plan, how fancy your tech, or how large your team, risk prevention should always be on your radar as a small business owner. In fact, it's these very things that can contribute to risk – the way you store your business plan, the way you work with tech, the way your team collaborate with each other and those outside the business. In short, risk is everywhere... no matter your industry or business model. But the problem is, much of this risk is unknown to small businesses. When first starting out as business owner, there's so much to learn in figuring out the logistics of setting up a business and getting it off the ground, and the risks involved aren't always clear. But it's not just new business owners that can experience this... Even if you've been trading for a long time, you may not spot the risks that apply to your business, because, quite simply, you're not an expert in such things. But, if you know where to look, there are people out there – often small-business owners just like us – that are experts in risk. They know what to look out for, can teach us how we can manage such risks, and even have practical ways they can help our businesses to stay as risk-free as possible. We call them the guardians of risk. How and where do you store your files? And how and where do you share them with others? ...These are typically some of the first questions Dale Clutterbuck asks anyone looking to reduce risk around their data. 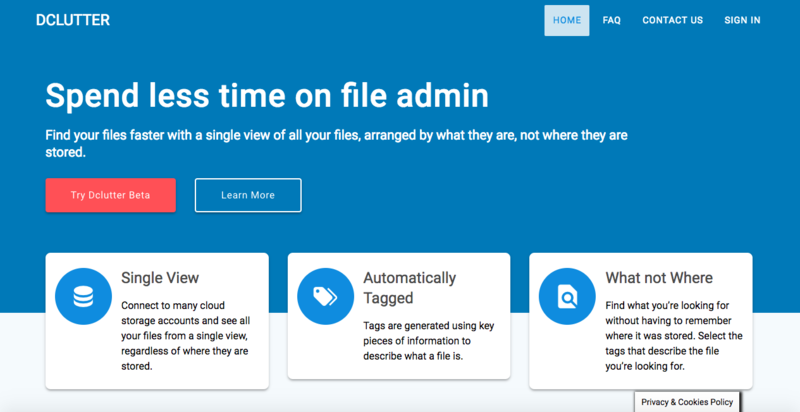 And it's not only how and where you store your files – but he poses the question to your entire team... as quite often, without clear processes in place, people have their own way of organising files – which can be a huge risk factor for businesses. What are the biggest data risks that small businesses face? "Information and data are at the core of almost all businesses, and it usually is tied to high costs. Whether it's the product of employee time or the work of a high-cost partner or supplier, data is expensive. Data can also hold sensitive information, from legal documents to business plans and personal information (impacted by GDPR). All of the above can have cost to the business and even potentially legal implications." How can they manage these data risks? "Businesses can help manage these risks by ensuring good data management practices. We can help with assessing all of the above practices within the business, highlighting where the risk and exposure of data is and provide recommendations to help mitigate against the risks. We also provide a tool, DClutter, that provides greater efficiency in managing and finding files within the business." "There are many practices and software tools that help mitigate many of the issues mentioned above. However, very few truly help with the organisation and finding of data. I was finding it difficult to organise and find my own data. The rigid nature of folder hierarchy really limits how you can organise and, while search helps to some extent, it sometimes proves very frustrating to use (unless you're an expert at writing a search query). Combined with my 10 years of working with large and global enterprises in their IT storage infrastructure, I was unable to find a solution that really solved the problem. The IT infrastructure companies were really focused on making storage faster and scale bigger, and they really did very little for helping with organisation and finding data. 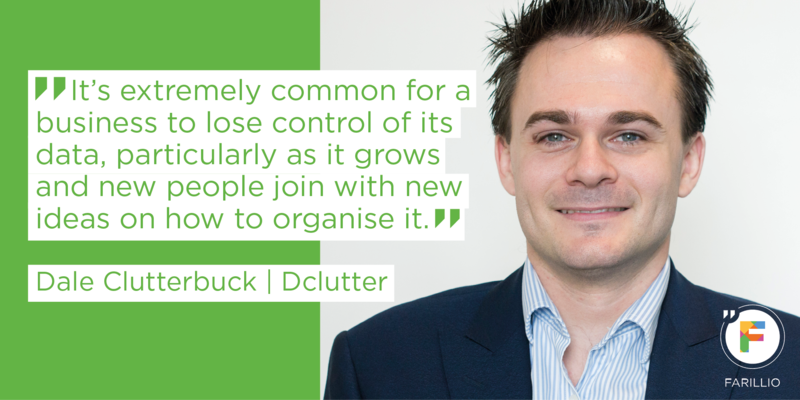 And so, spotting a need for such a solution, DClutter was launched!" 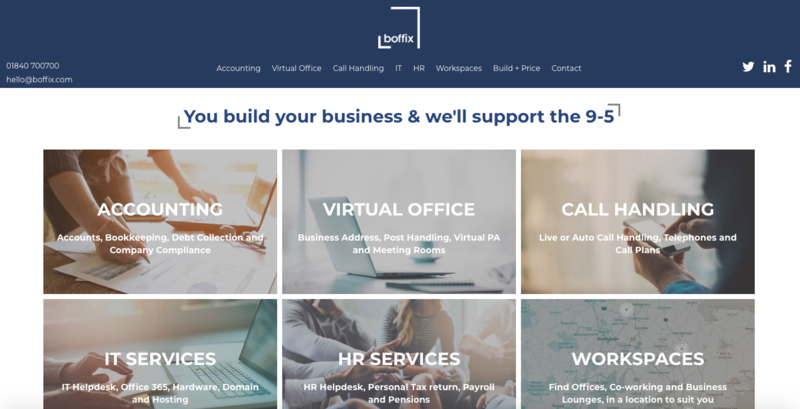 From helping you manage your bookkeeping – integrating QuickBooks in their offering – to answering your phones, Boffix takes care of the jobs you need to do but might not necessarily be able to do – whether through lack of knowledge or lack of time. What are the biggest risks that small businesses face? "There are two that we keep coming across a lot at the moment. The first is the increase in the cost of staff. A lot of businesses are getting to a point now where they just can’t afford to employ people. I’m talking about the really small businesses who might just have one shop on the high street. With the rise in the national minimum wage and the roll out of auto-enrolment, they’re just being priced out of the market. So for those businesses, that’s the biggest kind of hurdle that they’ve got. They’re really passionate about their business but they can’t actually afford to physically bring people in to make it grow. Secondly, it’s a dependence on third-party providers. I know from our point of view, we had a dependence on our apprentice provider; and when they went in to administration, it was a huge blow for us. But smaller businesses could really find themselves struggling if they suddenly don’t have that ability to be able to train their staff." How can they manage these risks? "Well, those two aside, there are other risks that are more manageable. Cash flow is a big one for clients, and I think even something as small as the VAT registration limit has been a massive issue that's come up more and more for some unknown reason. I’ve had many conversations in the past 6 to 7 months about VAT registration, and I’m often asked, “Is there anything we can do to make sure that we don’t hit that VAT registration limit?”. We’ve even had people actually not taking on work so that they don’t go over that £85,000 threshold. We’re just in such a cost-sensitive place at the moment. VAT registration is something that’s really, really, really affecting small businesses, and I think that’s something that they just need to have the right planning in place for." "Our whole purpose is to make sure that small businesses can just concentrate on being what they’re really good at. That’s the whole point of Boffix. We want all our businesses to be great – great at being architects or being a baker, whatever it is that they want to do. Whilst in the background, we do all their compliance and make sure everything else is all done correctly for them. 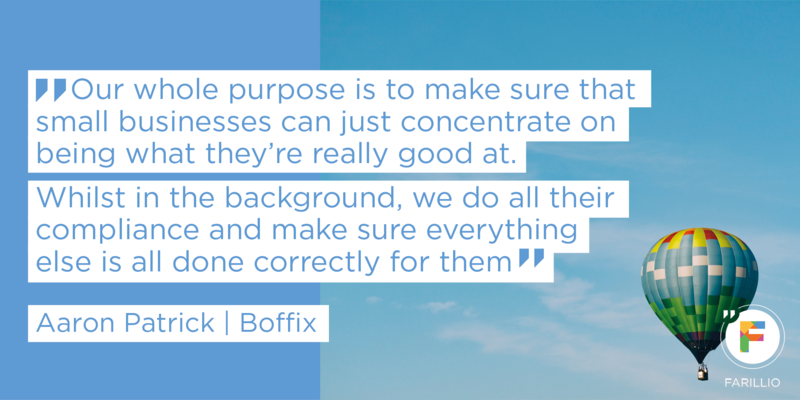 So when you see the services we offer – if you want to start up a business – you come to Boffix and we make sure that everything you need to do is done. From accounts and IT support to answering your phones and HR support...and, soon, we’ll be providing legal through Farillio as well." You can put all the main safeguards of risk in place, but people make the magic happen. And if people are not feeling particularly magic about your business, all of the de-risking strategies you've put in place could very easily go wrong. If your employees don’t care enough, they won’t notice or perhaps even care where vulnerabilities for your business may lurk. From not mopping up a spillage to not caring if a delivery is not made on time, however big or small the risk, the people in your business are one of the biggest risks of all. But, saying that, the people in your business can also be the most important guardians that your business has... if they have reason to be, of course. What are the biggest HR risks that small businesses face? The tangible elements (documents, systems etc.) that you would be foolish to overlook or are legally obliged to ensure are in place; and the less tangible elements that can make the difference between surviving or excelling as a business. Do the people you are hiring have the right to work in the UK and can you evidence it? Do you have the necessary liability insurance in place? Are you issuing fully compliant written statements of employment within two months of them starting work? Are you paying at least minimum wage and relevant statutory benefits? Are you offering a pension to eligible staff? Are you ensuring the health and safety of your employees, in relation to working time, environment, equipment etc.? Are you handling their personal data in a way that is secure and compliant with GDPR? Are you sure your casual workers aren’t really employees? Failing to have these basics in place not only risk a financial penalty for your organisation, but can also damage your reputation and ability to hire people of the right calibre. Do you have a staff handbook or similar resource for setting out your ways of working and ‘rules’? Do you have an effective recruitment process in place that ensures you aren’t ‘hiring in haste’ or failing to undertake good due diligence checks on a potential employee? Is there a process in place and sufficient time set aside to ensure new employees are properly inducted into their role and the business to maximise their chances of success? Are you recording and acknowledging employee absences, so that patterns can be spotted, support offered or areas for concern fairly and consistently managed? Are your jobs designed and ways of working supporting people to perform of their best? Are processes in place for addressing performance concerns and ‘nipping issues in the bud’? Are the core aims and values of your business understood internally? Is there a clear ‘line of sight’ between an individual’s job and what the business has set out to achieve? Are your people managers confident and capable to lead their teams?" "To manage the tangible risks, you must ensure you have the legal basics in place for hiring and employing people. Avoid false economies by trying to create these all yourself, and get supported from an expert. Few elements of running a business are more stressful than the people bits, particularly if you don’t have the necessary systems and safeguards in place. Less tangible, but no less significant, you should ensure you promote a sense of purpose in the workplace. It not only helps employees feel connected to the business they are working for, but it also helps to minimise the risk that they focus on tasks that are less important to your organisation’s success, and are de-motivated and unproductive as a result. It is also critical for building trust and a sense of integrity, demonstrating that the business ‘lives its values’ so that the internal experience matches the words. As for your managers, it is all very well being technically proficient, but that doesn’t automatically translate into being good at managing people. 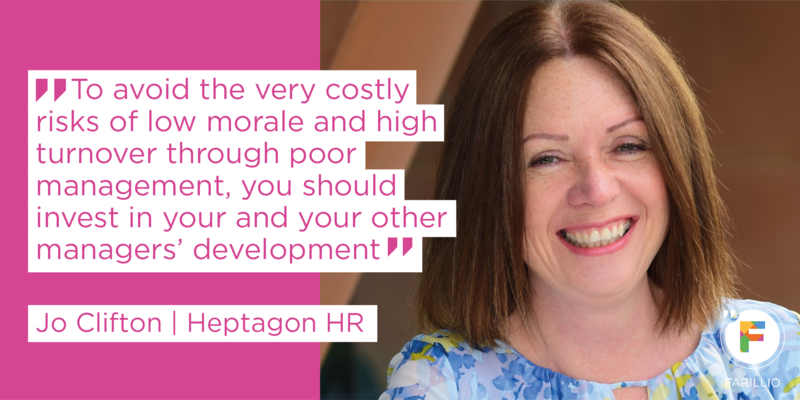 To avoid the very costly risks of low morale and high turnover through poor management, you should invest in yours and your other managers' development. If you have engaging managers who provide clarity, appreciation of effort and with the confidence to deal fairly and effectively with their teams, then you will see improvements in performance, productivity and retention. Finally, to avoid the risk of hidden problems and unspoken concerns, you need to create a working culture and systems of communication that ensure employees feel they can voice their ideas and be listened to. This needs to be both about how they do their job and in decision making within the business; with joint sharing of problems and a commitment to strive towards joint solutions. Effective employee voice recognises your staff as legitimate adult stakeholders in the business; key to and a part of its success. It can make the real difference between someone ‘going through the motions’ or feeling connected to and striving for the success of the business." Why was Heptagon HR launched? "I am passionate about businesses getting the people bits right and achieving or exceeding their business objectives through good people management. 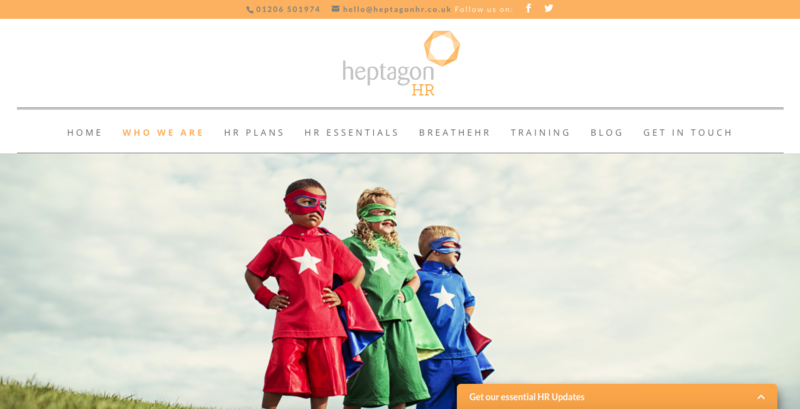 Heptagon HR uses its considerable HR, business expertise and resources, to work with organisations to help them reduce their people risks and achieve greater business success, through effective employee systems, management and engagement." While it's important to plan and prevent risk factors that may be a result of something affecting your business, it's important to take into consideration any risk that comes from something affecting the founder/s of your business. No matter how strong and capable the team, it's unlikely that a small business would easily be able to continue without its founder/s – and managing the financial aspect of this should be planned ahead to prevent any uncertainty or problems should there ever be such a situation. "Whilst the business grows, the founders are often having to invest considerable sums and take out little remuneration – which is a big sacrifice for both them and their family. So, if the founders cannot see the business through to profitability, and something happens to them – this can be the death or serious illness of the founders, which can simply destroy the business – their family can be left in a very precarious position, and so could their co-directors and other investors who may never see their money back." What is your business worth a) now b) in the event of your death ? If you die, how do your family receive any value from your business ? In the event of the death of you or another key person in the business, how will the business survive? How will your shareholders get their money back if you are no longer around? These all tie into having properly effective plans around protecting the founders investment in their business and also protecting the other shareholders. It is a hugely under-advised market but offers cost effective solutions via proper legal planning and low-cost life insurance plans. Our role tends to be very much around advising our small business clients on what happens to them, their families, their employees, their fellow directors and shareholders if something happens to the driving force and founders of the business." 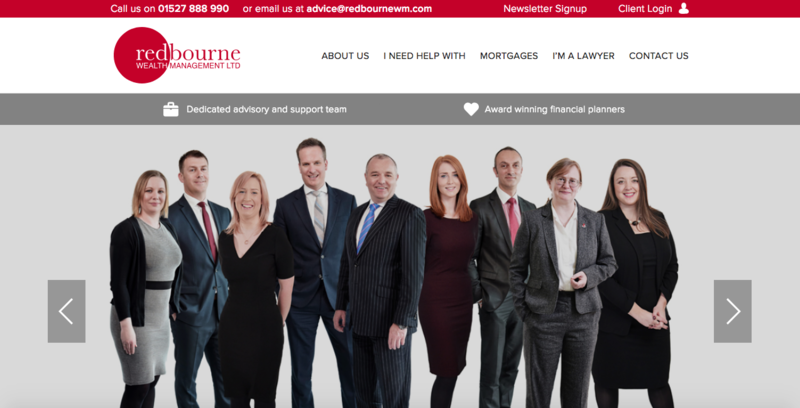 "Having worked at a senior level for a number pf large national IFA firms we wanted to take our experiences and offer a much more personalised service to our clients, so we established Redbourne Wealth Management in 2008. Our focus was to offer comprehensive advice and investment services to our business owner and high net worth clients, using a technology led approach and a focus on closer relationships with smaller groups of clients. By combining our services with our clients legal and accountancy advisers, we have seen this can lead to significantly better outcomes for our clients and their business planning." Getting your legals right is so important to do from the very start. 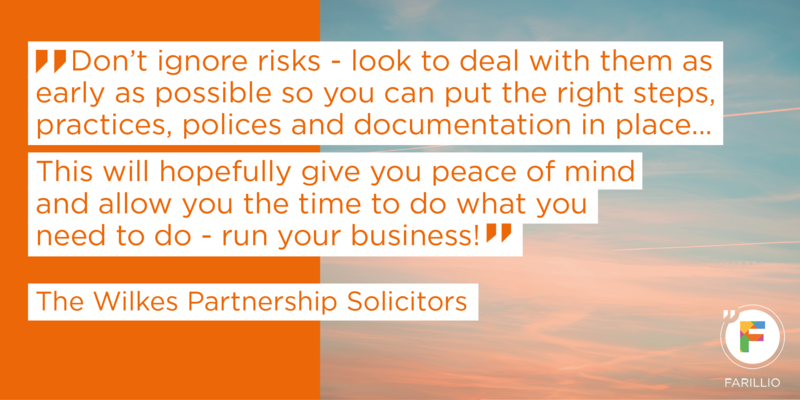 There are many risks in starting and running a business, and the way you handle the legal aspects is a major factor in preventing those risks. At Farillio, we've partnered with expert lawyers that know all about the risks of business. 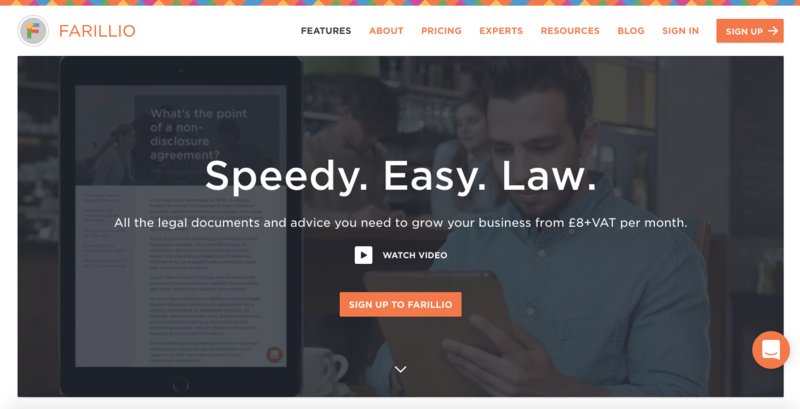 You'll find their expertise throughout Farillio's guides, templates and tutorials, and you can even book a chat with them through our Speak To A Lawyer feature! If businesses have not thought about the correct business structures then this can have more implications than just financial/tax. For instance sole traders and traditional partnerships have unlimited liability. Terms and conditions and trading contracts are important to ensure that the business is adequately protected (for example, they can help to try to limit liability of the business). They can cover a wide variety of aspects of the trading relationship, such as payment, delivery and quality of goods/services. If a small business trades on another business' terms, then it is important to review these prior to signing/entering into the contract to fully understand what is contained in them. These are more often than not drafted very much in favour of the other business and so should be reviewed carefully and negotiated to make them more reasonable and to ensure that you are protected too! It is important to consider what needs to be in place in respect of the constitutional set up of a business. In a private limited company, for instance, it is important to ensure that the articles of association of the company are adequate and adapted to the situation of the company. It is also important to consider where a shareholders agreement may be appropriate and what should be contained in it. These documentation help when dealing with constitutional matters throughout the life of the company, such as if one of the shareholders wants to transfer shares or wants to leave. They can be helpful if the shareholders fall out and need to resolve how the business and company are to be run in the future. Now more than ever with the advent of GDPR, businesses must ensure compliance with data protection laws or risk being investigated by regulatory authorities, and possibly being fined. Bad data practices and data breaches can lead to damage to reputation too. Insurance can help to protect your business; it is important to make sure that you have the rights types of insurance in place which are suitable and appropriate to your specific business in order to ensure you are properly protected. Ideas and intellectual property rights can be a valuable asset of any small business. It is therefore important to ensure that they are protected and, where relevant, registered in order to help prevent infringement and to stop people using it without your permission. It is important to have employment contracts in place with employees so that both you and they know what to expect from one another. Employment contracts can also highlight key obligations of the employee around matters such as intellectual property and confidentiality." "Don't ignore the risks - look to deal with them a early as possible. That way, you can put the right steps, practices, polices and documentation in place to help manage the risks. This will hopefully give you peace of mind and allow you the time to do what you need to do - run your business! Lawyers can help with drawing up documentation such as terms and conditions, contracts for goods and services, employment contacts, shareholders agreements and articles of association. Specialist intellectual property lawyers can help with ensuring your ideas and intellectual property are properly protected. Insurance providers can help with establishing what insurances are needed and which products are most suitable for your business. Lawyers and security experts can assist with drafting documentation to help with data protection compliance and with ensuring systems are secure. Take advice from peers and mentors. Speaking to peers or mentors who have the experience and knowledge or setting up and running a business can provide you with invaluable advice. They have been through it before so will understand some of the challenges and risks you face. They may also have practical advice that will help you or be able to point you in the direction of other peers with relevant experience." 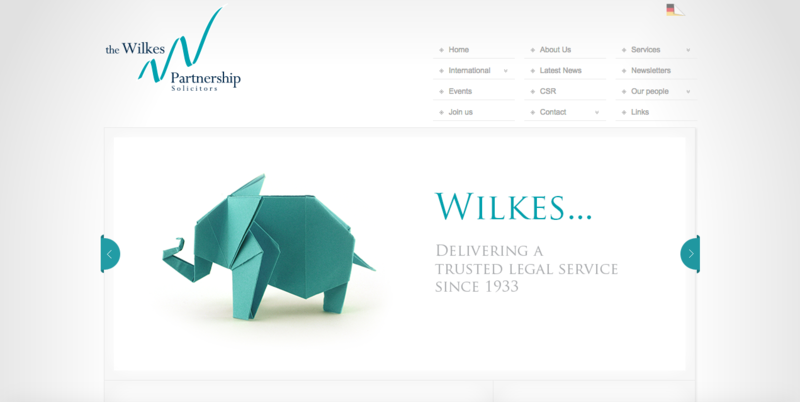 How does Wilkes help startups prevent risk? "As lawyers, we can, of course, help with drafting documentation. For example, we have experts who can help with areas such as corporate (helping with your constitutional documentation), commercial (helping with trading terms and contracts), employment, data protection and many more! We can also offer practical advice that we have gained from our own experience and from the experiences of our clients and colleagues. Our experience also means that we might be able to alert you to and help you to manage risks that you were not even aware of!" As small-business owners, we know that we should get insurance...but the problem is, there seems to be so many different insurance types that it's easy to become flustered, confused about what is actually needed, and how to actually go about getting what's needed. 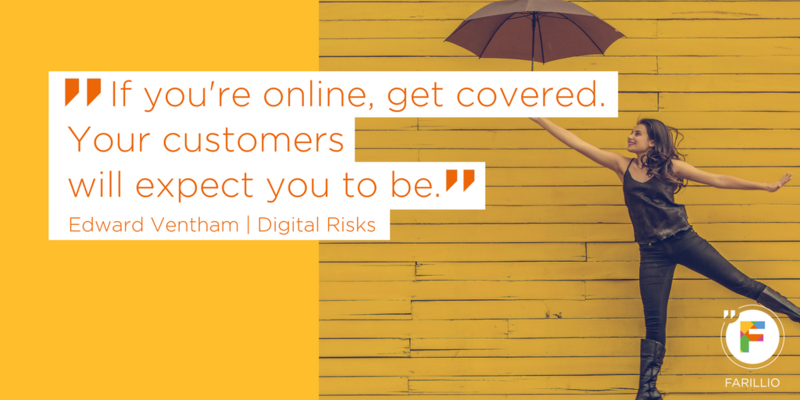 But that's where Digital Risks come in – they specialise in making insurance easy and accessible for small, digital businesses. What are the biggest digital risks that small businesses face? It might be the big brands that hit the headlines, but SMEs are just as much of a target for hackers, with Government figures showing 42% fell victim to a cyber attack or data breach in the last 12 months. More recently, in August, the IDC found that 71% of data breaches are now targeted at small businesses – because hackers know you’re more vulnerable – so it's time to pay real attention to protecting your business! Small businesses are handling rising volumes of data and the law has cracked down on malpractice, with the UK's data legislation (aka the GDPR or General Data Protection Regulation) introducing a number of new requirements in May 2018. Failure to comply can have serious implications, including the risk that sensitive customer data will fall into the wrong hands, the chance of legal claims, and penalties from the Information Commissioner's Office (ICO). High-profile examples include TalkTalk, which received a £400,000 fine from the ICO for security failings that led to the loss of thousands of customers' personal information, and Boomerang, an SME that was recently fined £60,000 for similar offences. While these fines were for the companies themselves, with directors having overall responsibility for ensuring rules are followed if any fault can be traced back to negligence on their part, they could also personally face charges. Even the most flexible, digital-first businesses tend to have a physical base – be it an office, co-working space, or your house – home to the equipment, documents and other belongings that are integral to what you do. Having this property stolen or damaged would be a nightmare come true (and 24% of businesses have been subject to theft in the past 12 months) leaving you with scary bills to replace expensive everything, and business downtime on top. It’s so easy to overlook, but theft can cripple your business more quickly than late-paid invoices. Every employer is responsible for protecting the health and safety of its employees and the buck ultimately stops with the company directors. Research last year revealed that the number of directors prosecuted by the Health & Safety Executive (HSE) had trebled in just 12 months, with 46 individuals taken to court, compared to just 15 the previous year. Issues arise when company directors have been personally negligent in failing to follow health and safety rules – and it can mean fines, disqualification or even imprisonment for those found at fault. Advice on the health and safety responsibilities of company directors can be found on the HSE website." How can they manage these digital risks? A cyber risk assessment helps you understand the areas you need to protect and those where you could be most vulnerable. Start by auditing the data and information you hold that is most valuable. This will give you a good idea of where you need protection. Then look at how you store this data, who has access to it and how it's protected, to understand where you could be most at risk. If you're not confident carrying out a risk assessment, then you might want to consider hiring an expert to do this for you. Once you've identified your most valuable data assets, cover all the bases to secure it with the appropriate technology – including firewalls, anti-malware and anti-virus software on all your computers and devices. Involve your teams closely and continuously with your cyber security policy, outlining key processes and procedures, what staff should and shouldn't do, and the potential repercussions if the guidelines aren't followed. And seriously consider deploying password managers and 2-Factor Authentication as a minimum when it comes to accessing data. We’ve also recently become fans of Yubikey – a hardware security key that you use to authenticate platform access – which you can apply to your phone, laptop, pretty much everything. Don’t forget to also monitor and conduct due diligence on your suppliers and vendors as well as assessing your employees’ use of company data and platforms. Even with the best technology and security measures, sometimes you're powerless to stop a breach. This is where an effective response plan comes in, enabling you to control the situation as quickly as possible, with minimum impact to you and your customers. Yet, despite its importance, only 30% of organisations have a breach response plan in place... potentially leaving them floundering in the event of an attack. You need to outline how you'll handle the legal aspects of the breach, for example informing the Information Commissioner's Office (ICO) of the issue and defending your business against any claims of negligence. Your business could be the focus of media attention following a breach, so be ready to handle all external communications about what happened and how you're handling it. You are likely to need professional PR expertise to do this effectively. You'll also need to have IT forensics experts on hand to find out what caused the breach, with a view to rectifying the problem quickly and ensure it doesn't happen again. Depending on your customer base and the scale of the breach, you could have a lot of unpleasant phone calls to make! You'll need to be ready with a way to handle this communication efficiently. If the worst does happen and you're facing the repercussions of a data breach, your final line of defence is a watertight and specialist cyber insurance policy. The Information Commissioner's Office (ICO) can impose two distinct levels of fines based on breaches of the General Data Protection Regulations (GDPR). The first is up to €10 million or 2% of the company’s global annual turnover of the previous financial year, whichever is higher. The second is up to €20 million or 4% of the company’s global annual turnover of the previous financial year, whichever is higher. The potential fines are substantial and a good reason for companies to ensure compliance with the Regulation. The Digital Risks cyber insurance policy will cover notification costs, legal fees defending regulatory action, and in some cases the penalty itself (where this can legally be insured). These could include system repair costs, lost income while the system is down, or even ransom payments to hackers. 3. Cover for your website, blogs and social media, for copyright or trademark infringement, or defamation, etc. With cyber crime and data leaks on the rise, it's not necessarily a case of if your business will be hit, but more a case of when. Getting up to speed on the scale of the threat and how best to protect your systems will put you into prepared mode and keep your business out of the cyber spotlight. Do everything you can to secure your office space – and that you've checked the detail of your insurance policy – as in many cases, there are specific types of lock you will be expected to have installed or precautions your insurer will expect you to have taken. And make sure you're covered for portable equipment loss (e.g. laptops, mobile phones, cameras and tablets); you may be unpleasantly surprised at what you're not insured for. Likewise, if you're in a co-working space, check the fine details of your contents and equipment cover – as many insurers will not cover you! You might not realise but, as a director of a limited company, you can personally face legal claims due your own actions – for example, making an important decision without shareholder approval, or overseeing errors in financial reporting. Claims like this won’t necessarily be covered by your company Professional Indemnity policy, which is why Directors & Officers insurance is so important, as it covers any allegations that you have personally done something wrong. You could also find that investors will ask about D&O as part of their due diligence process, so it also shows them that you take your responsibilities seriously." Why was Digital Risks launched? "Digital Risks is a specialist insurance provider focusing 100% on the needs of digital businesses. Founded by Ben Rose and Cameron Shearer, the idea for the business originated from their personal pain point of being unable to find an insurance provider that understood technical and media industries. With the UK’s technology and digital media sectors growing faster than any other area of the economy, Ben and Cameron realised that traditional insurers weren’t responding to the needs of these innovative businesses. Despite the huge market opportunity, it was impossible to find products built around what they do, the risks they face and how they like to buy. Digital Risks set out to fill this gap, with cover for today’s complex risks – such as ransomware-attacks, social engineering and IP infringement – plus an intuitive, online monthly subscription model, ideally suited to startups and small businesses. Partnering with leading underwriters, including Aviva and Tokio Marine, Digital Risks has launched core policies like public and employer’s liability, plus more specialist cover, such as professional indemnity and cyber security. We also have a team of account managers providing advice and bespoke insurance, for larger businesses and those with more specialist needs. In the past two years, Digital Risks has placed over £2 m in premiums across 1,400 policies and received consistently positive feedback from customers, with a rating of 9.3/10 on TrustPilot. And, in addition to this excellent feedback, Digital Risks were voted Best Insurance Startup 2018 at the recent British Insurance Awards. 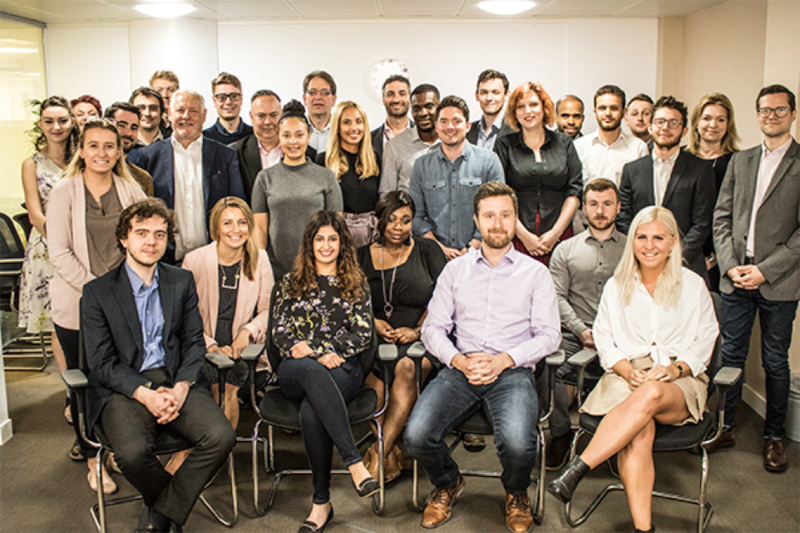 In July 2018 the team secured pre-Series A funding of £2.25 m to scale the business across the UK and internationally as testimony to their success to date." While freelancing can be highly lucrative and can offer a fantastic work-life balance for some, it can also mean fluctuating income and long hours for others. Without preparation and support, the latter is often the most likely scenario – and it's this preparation and support IPSE specialise in to help freelancers and the self-employed manage those risks. "Becoming self-employed can be both exciting and scary. Exciting because of the prospect of freedom and control. But scary because of the risks you inevitably open yourself up to as a freelancer. Are the rewards worth the risks? 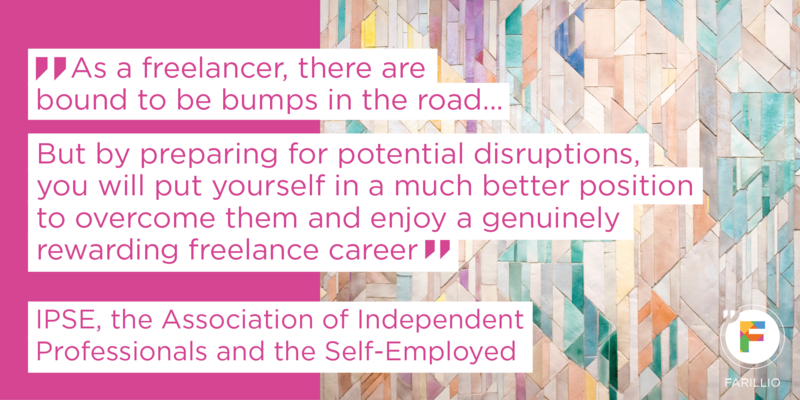 We, IPSE, the Association of Independent Professionals and the Self-Employed, recently surveyed hundreds of freelancers to find out – the results of which are published in our latest report: The risks and rewards of independence. One of the biggest risks freelancers fear is that they will not be financially prepared for their retirement. In fact, 69 per cent of IPSE’s respondents said this was among their biggest concerns about working independently. 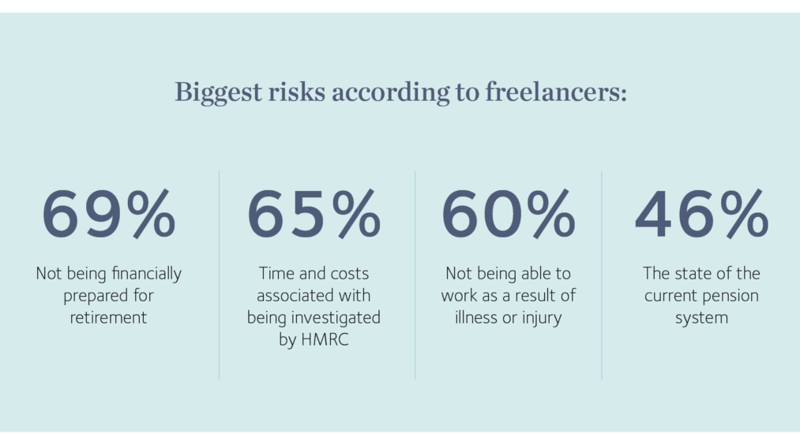 Among other concerns for freelancers outlined in the report is the risk of being investigated by HMRC (65%). Not only do HMRC investigations cause considerable anxiety for freelancers, they can also be drawn out for an extensive amount of time and create a significant financial burden, regardless of the eventual outcome. The state of the current pension system and how it works for the self-employed was also a significant concern for almost half of those surveyed (46%). Many of the pension options on offer at the moment just don’t work for the self-employed because they don’t take into account key factors such as fluctuating incomes and periods without work. As a result, many self-employed people find themselves struggling to save for later life. And finally, as freelancers aren’t entitled to holiday or sick pay, there is a level of insecurity if you don’t have a safety net in place to cover downtime and non-working periods, which 60% of those surveyed said was a major concern." "The more you understand the challenges of being self-employed, the less likely you are to be hit by nasty surprises. Despite the potential risks involved, the report still found that the vast majority of freelancers (83%) say it is unquestionably worth it. That’s likely because these risks, as intimidating as they may seem, can be mitigated when the right steps are taken. The Association of Independent Professionals and the Self-Employed (IPSE) provide helpful guides as well as bi-monthly magazines, fortnightly newsletters and updates to keep the self-employed community informed of any changes that may affect them. Not only can accountants save you a lot of time and hassle; they can also help you to save money in the long run. Plus, it will show the tax man that you’re taking steps to comply with the tax rules. It’s never too early to start saving, and setting up a pension with low rates will allow you to save securely and effectively. Use social media and networking events to meet other people and make connections. 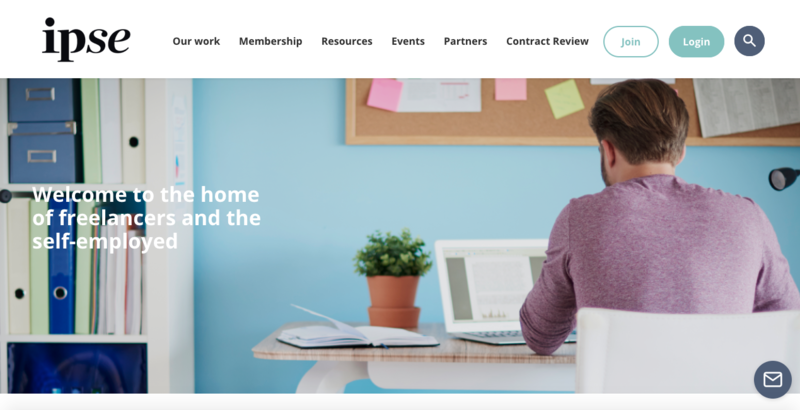 Not only could this be the source of your next clients, providing a steadier stream of income, but it also allows you to connect with fellow freelancers who may be facing the same challenges. Tax investigation insurance is perhaps the most direct form of protection from HMRC investigations. You can also get cover should you unexpectedly fall ill or get injured, as well as other things that could keep you from being able to work." A landmark case – funded and backed by IPSE – saw Susan Winchester successfully claim £4,200 after HMRC deemed her to be ‘inside IR35’, fundamentally changing her employment status to ‘worker’, but not ensuring her legitimate right to holiday pay. 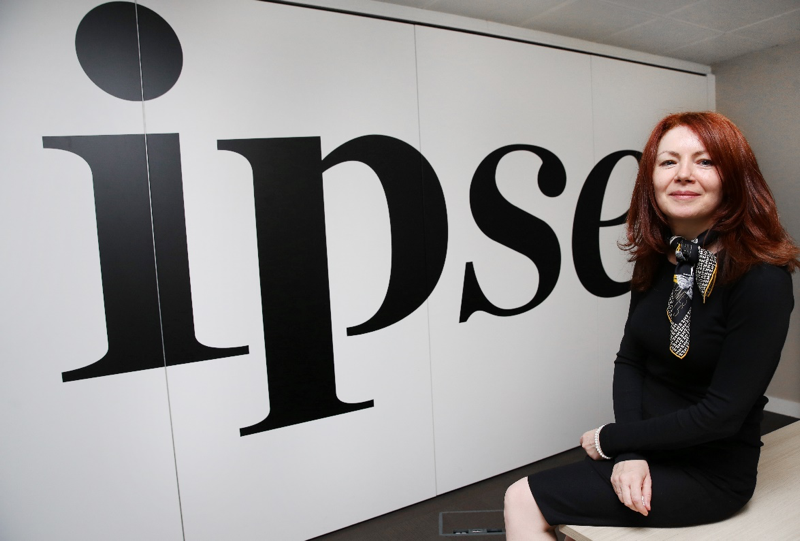 How does IPSE help startups prevent risk? "Being a member of IPSE provides you with a safety net for periods when you cannot work due to illness and injury, as well as other compensations for unforeseen disruptions to your business. With your financial wellbeing in mind, IPSE membership provides you with access to a pension scheme that gives you the opportunity to save securely at far lower rates than you would pay with similar schemes. As well as these membership benefits, we continue to influence policymakers at the highest levels in order to make the UK a fairer place to be a freelancer or self-employed. Supported by our research-based evidence, we work with Government and partners right across the sector to advocate for better regulation, pension provision that takes into account the unique needs of the self-employed, as well as spearheading the introduction of the Small Business Commissioner designed to drive culture change in payment practices – among other things. But by preparing for potential disruptions, you will put yourself in a much better position to overcome them and enjoy a genuinely rewarding freelance career." 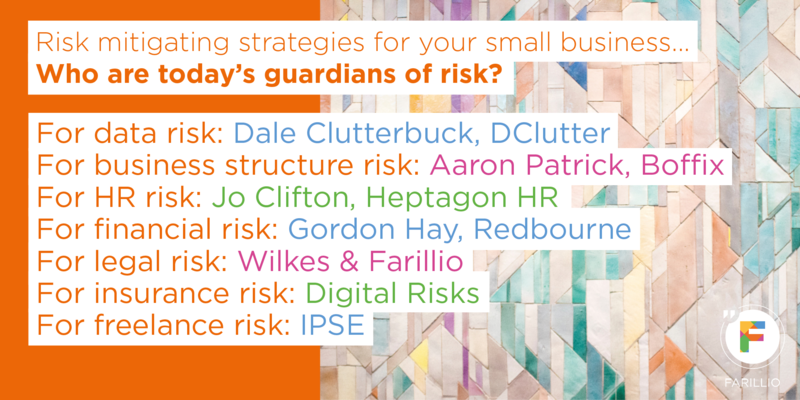 We'd like to say a huge thank you to all of the guardians of risk that shared their expertise and insights with us, so that we can share them with the entire small business community – enabling us to become smarter and savvier within our own businesses, thanks to the support of others. 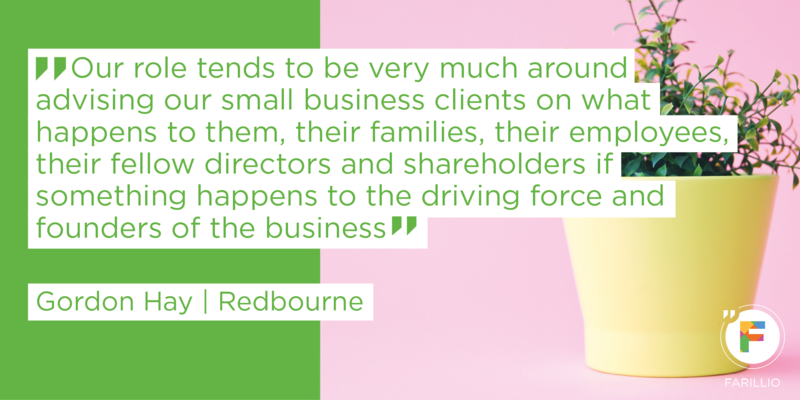 In fact, the fab thing about being a community-focused platform is that Farillio frequently collaborates with guardians of risk like those we've featured today and many others to create exclusive guides, templates and tutorials about all things small business. Create your own Farillio account today and you can have access to all their nuggets of wisdom and so much more, for just £8 +VAT a month!